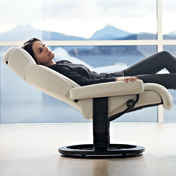 The Stressless Viva is part of the stunning New Global Collection. 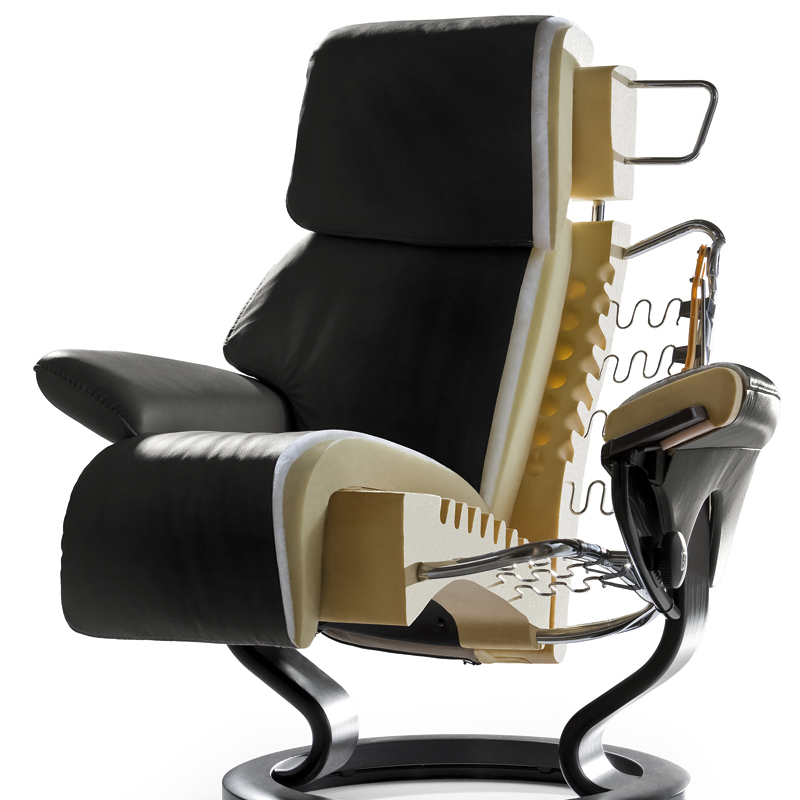 The choice of base changes not only the appearance of the chair, but also changes how the chair moves. Both options allow for 360° swivel, optional height adjustments and are available in a range of colour options. The Classic Base - has been an iconic design choice for more than 30 years. 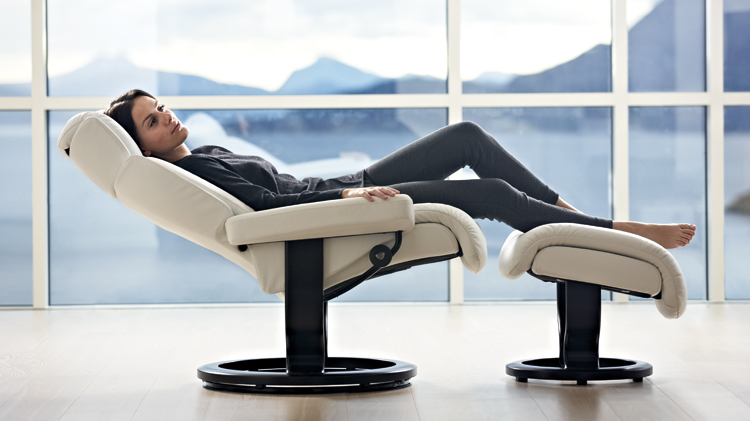 If you've owned a Stressless chair the chances are it had a Classic base. It's two stem design is instantly recognisable and gives unique stability as you recline. 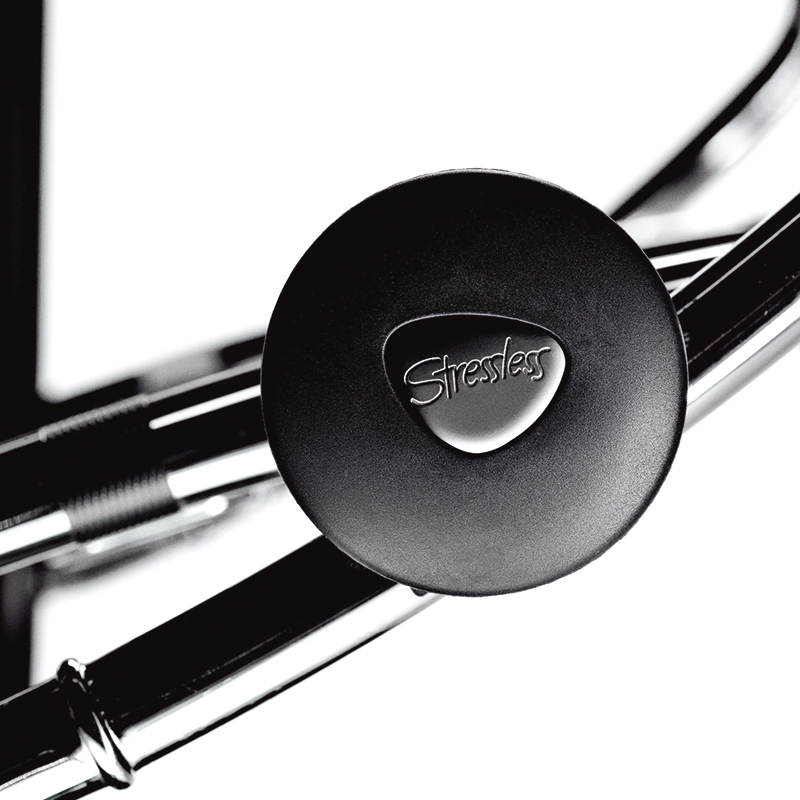 The Signature Base - A stylish, modern design combining cast aluminium, wood and movement. The Signature base is new to the range and we feel it transforms the feel of the chair. The Signature base includes the Balance Adapt™ a soft rocking motion that increases comfort and helps maintain movement when seating. We would choose it every time. 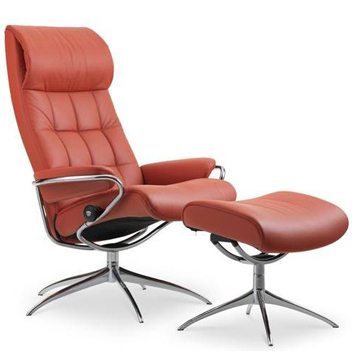 There are 4 leather grades for the Stressless recliner. Each have been treated differently to suit individual tastes. To help you choose we explain the leathers below. Batick - a corrected, pigment-improved leather, which has had most blemishes removed. Batick is a heavy-duty leather that has a protective layer of lacquer that simplifies cleaning. Cori - a corrected, pigment-improved leather, with most blemishes removed. Cori is thicker and has a larger pebbled grain than Batick. Cori is a heavy-duty leather with a protective layer of lacquer to simplify cleaning. Some Cori colours have a slight two-tone effect the livens up the colour. Paloma (a popular choice) - a slightly corrected leather which means that some of the natural marks, scars and insect bites can show through. This gives it a more authentic, natural look and feel. A thin coat of lacquer simplifies cleaning and gives some protection. Due to its soft, natural, comfortable feel and range of colours. Paloma is a very popular choice. Noblesse - the most exclusive leather in the range is a full grain semi-aniline which means fully penetrated dye and has only a very thin protective coating. This allows the leather to keep the natural softness and warmth that characterises a first-class leather. Minor colour variations and natural marks can occur. Noblesse will gain the most character of all the leathers over time, will feel the softest to touch but will require a little more maintenance that the alternatives. 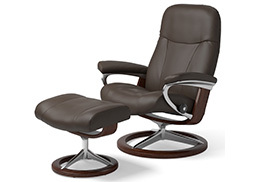 Most Stressless recliners are available in 3 sizes - Small, Medium and Large. Selecting the right size for you can be guided by your height but should ultimately be decided by the feel and fit of each model. The best way to find the perfect match is to visit one of our 4 retail showrooms.